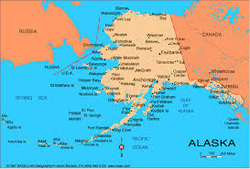 The North Pacific Ecosystems Project (NoPEP) was an investigation of past and present commercial fishing interactions in the Bering Sea and Gulf of Alaska, including an assessment of problems caused by over-fishing and discarded by-catch, and the apparent decrease in the health and diversity of those ecosystems. The multi-year study explored the viability of fisheries exploitation models based on ecosystem dynamics instead of failed, traditional, single-species approaches which have led both to the collapse of commercially valued species and to significant, and largely unexplained, declines of non-commercial ecosystem members (non-targeted fish, macro invertebrates, marine mammals and birds). NoPEP's research goal included: providing data to argue for broader recognition of the precautionary approach; stressing the need for better understanding of fisheries/ecosystem interactions; and recommending ways to move toward fisheries management strategies that fully consider the entire marine environment. Work was conducted in three major areas: biological and oceanographic investigations, natural resource economics, and policy analysis. A consortium of conservation groups published a synopsis of the study’s results in 1991. ARC Group scientists subsequently provided expert testimony in a federal lawsuit brought to protect threatened Steller sea lions from harm due to commercial fishing practices in the North Pacific.